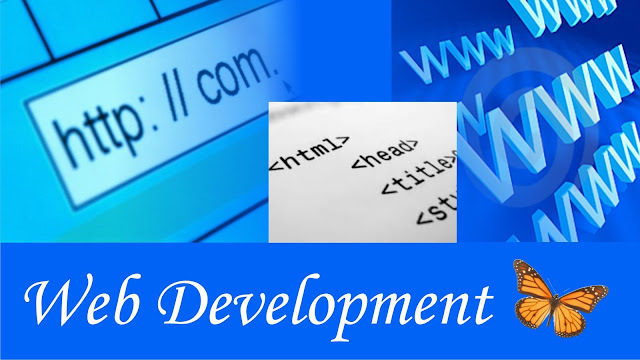 Many people do not understand the difference between Web Designing and Web Development. It is easy to get confused and assume that the two are one and the same. No, they are not. They are actually two completely different sciences that usually require two different professionals to get the most out of your Website in both perspectives. But the truth, however, is that most Web Designers don’t know a thing about Base64 encoding, MIME types, SOAP requests, regular expressions, or SQL injection. On the other hand, there aren’t a lot of Web Developers that can create visually stunning websites or graphical presentation. Perhaps the most effective way to differentiate between the two positions is to establish a clear line that separates the roles and responsibilities of each position in the context of a Web-based project. This will, of course, vary from project to project and from person to person, but we can define a reasonable boundary which the average Web Designer and Web Developer will be comfortable with. Who exactly is a Web Designer?A web designer uses graphic design software like Adobe Photoshop, and Illustrator to create a look for the web. This design is then married with coding to bring it to life online. The designer may not always be the person writing the code and in some cases can work independently of the team who will take a website design live. Much of a designer’s job is creative and uses both intuition and imagination, often characteristics of people who are considered right-brained.Designers collect work portfolios to showcase their projects for potential employers. The best designers have a strong grasp on a variety of concepts including color and typography, special relationships, audience and user experience. Who exactly is a Web Developer? The best developers are often detail-oriented and are keen on specifics. Usually they are completely different at their job. It is really common for Web Designers and Web Developers to be expected to take on tasks that are outside of their personal skill sets. But there is very little number of people available in this stream that cans expertise in both which is far really common to find. Because, designing a website along with its complete coding really hard to do for a single person. Actually the whole work process depends on both. Designer creates design and developer codes them to bring alive. So At the end of the day, both web designers and web developers are working toward a singular goal – to create a website or app that entices and attracts users. To do this, both the design and development must be sound. A site needs to look good and function properly. The colors and imagery need to reflect the brand and the interface needs to encourage visitors to take a desired action. Excellent and very cool idea and the subject at the top of magnificence and I am happy to comment on this topic through which we address the idea of positive reaction and successful either on the subject as well and ask the subject of a successful. Popularly known to maintain and build official communication, Gmail is one of the best mediums to communicate with our friends, family and loved ones. Since Gmail is the best option as well as the most prominent platform to avail the emailing services but sometimes users have to face technical issues. Situation also comes when user forgets his/her Gmail account password. In such case, it is quite obvious that the user is not able to login Gmail account until the password has been recovered and reset. It is an easy task to reset Gmail password if you remember the registered phone number or email address. I don't like application for writing essays, that's little bit stupid and not that much useful, because that doesn't guarantee a good result. If I need any help, I just go to best custom writing service and that's honestly the best way to solve any writing problem.